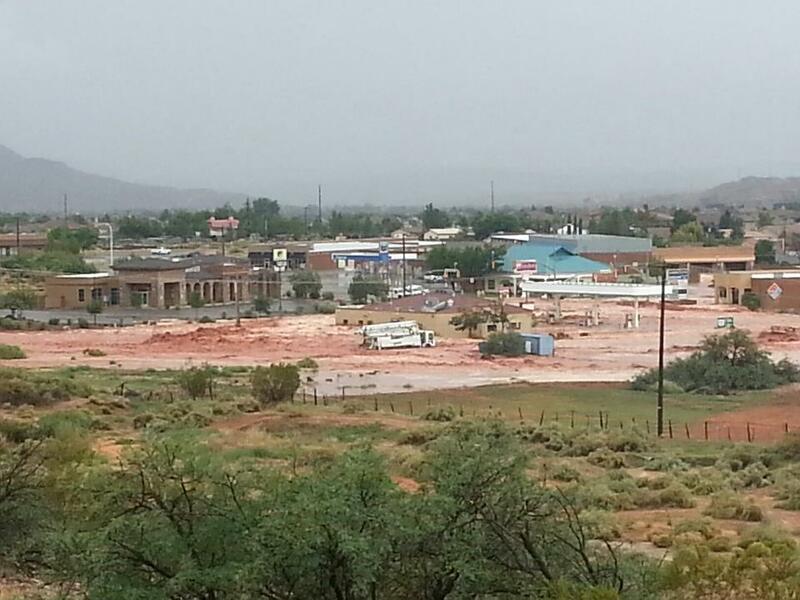 SANTA CLARA – A dike for a retention pond in Santa Clara burst after heavy rainfall in Southern Utah Tuesday and flooded the surrounding area. Evacuations are underway. 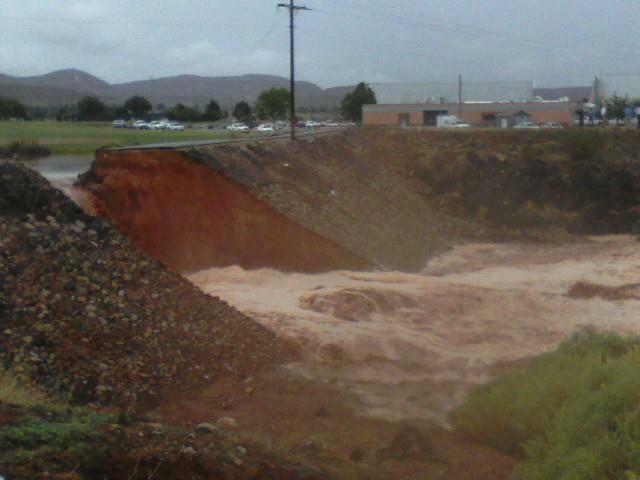 The dike broke around 1 p.m. and led to the closing of Sunset Boulevard and Arrowhead Trail in Santa Clara. 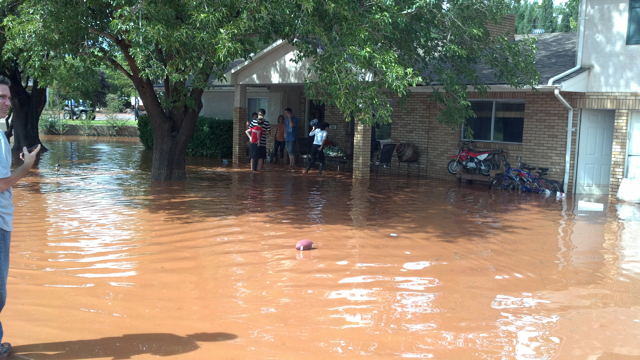 The break has also led to the evacuation of homes and businesses in the surrounding area. 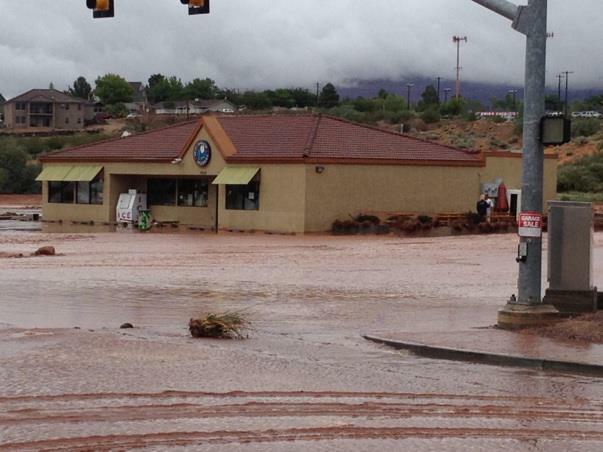 A number of homes and businesses were impacted by the flood, particularly those in the shopping center at the intersection of Sunset Boulevard and Canyon View Drive. 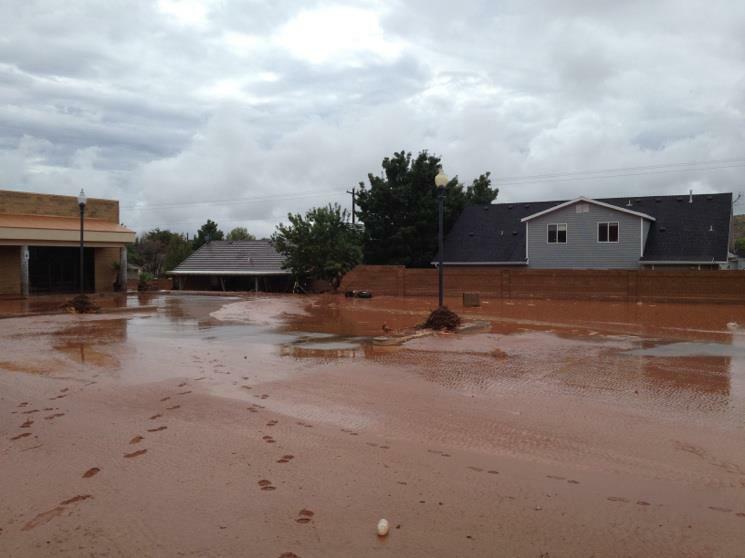 Nearby Arrowhead Elementary, Santa Clara Elementary, Snow Canyon High and Snow Canyon Middle, were unaffected by the flooding and dismissed at the regular times. 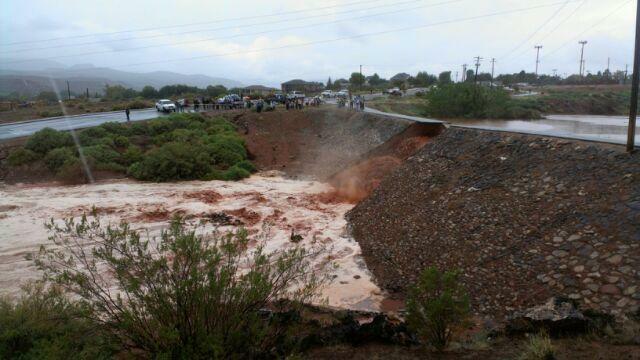 However, parents had to pick their children up at some schools as some buses were delayed due to the flooding. 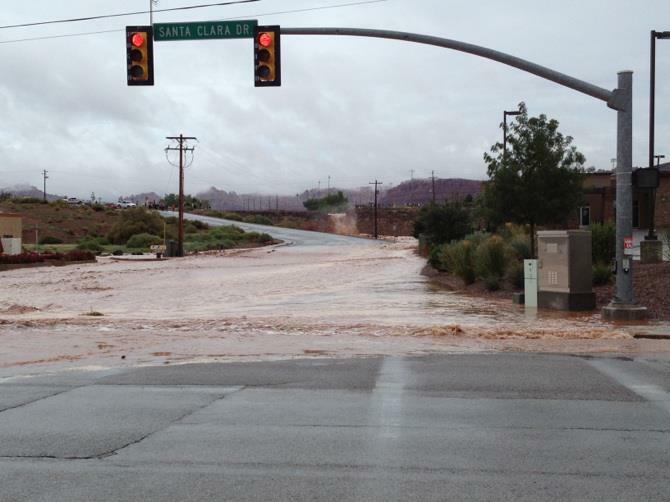 As of 4 p.m., Washington County Emergency Services reports that Santa Clara Drive, Arrowhead and Vineyard roads remain closed due to flooding. Estimated about 25-30 homes suffered damage. Red Cross contact is available at the Santa Clara Town Hall, 2603 Santa Clara Drive, for assistance for those who are displaced and need shelter. 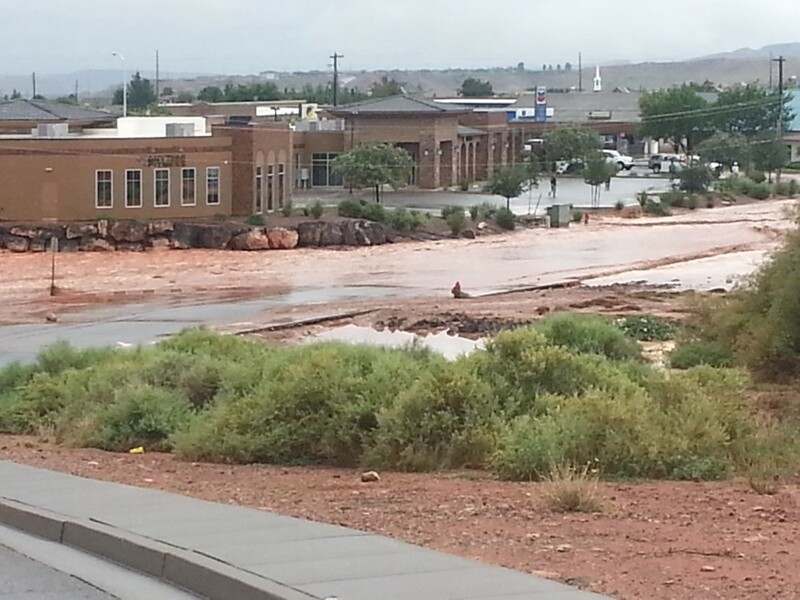 Those affected by the floods can also call the Red Cross at 435-673-6712 ext 235. A call for volunteers to fill sandbags has been sent out, and are asked to first meet at the Santa Clara City Hall. 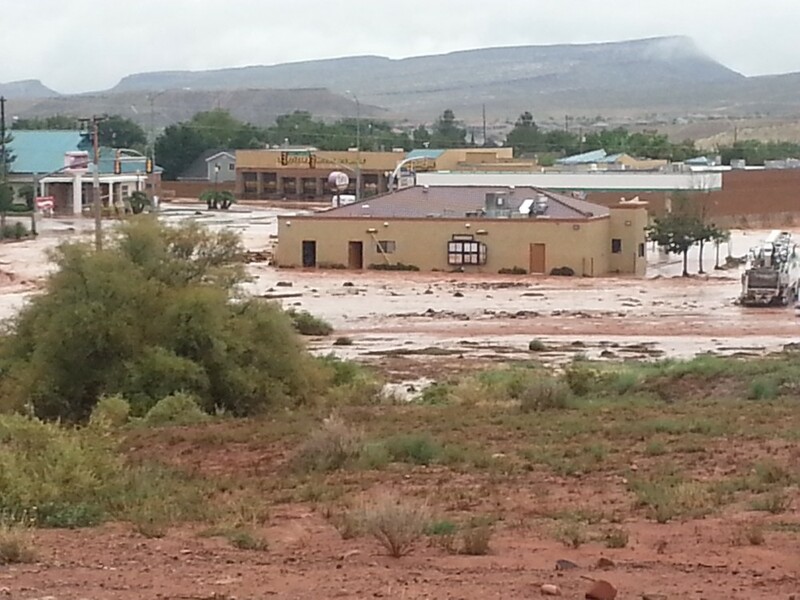 Additional photos of the flooding in Santa Clara and the surrounding area can be found on the St. George News Facebook page. do they mean Arrowhead Elem? Unreal! My oh my has the climate changed around here…this makes 3 major floods in just 7 years! It’s global warming! Trust me. 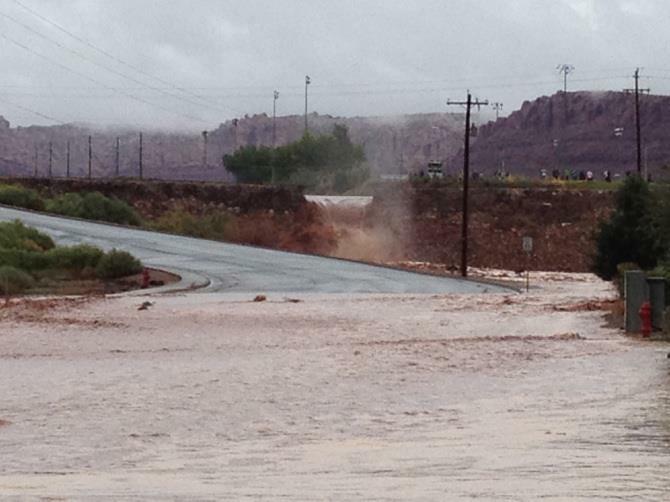 Thanks Al for checking in on us here in Southern UT, but it’s not global warming. Actually it’s just business as usual. If you look closely at the airport black ridge and Foremaster ridge, those used to be washes or dry river beds that filled up with molten lava many years ago. Then……over time the hundreds of feet of red rocks and soil were eroded away between them leaving these black ridges as “inverted valleys” So, the rain and erosion we are experiencing is really not new to this area. In fact, it has been much, much worse than what we area seeing currently. That’s why we get wiped out every time we get a hard rain. It’s been happening for a long time and will continue to keep causing chaos with every heavy rain storm. Dear flood please leave my neighborhood thanks. Don’t worry, S Utah is great at taking the money from other entities and justifying it. Romney would tell Santa Clara to put a shoebox down for the cat and swim themselves to safety. That comment made no sense whatsoever. And neither did Jen’s above that. Interesting the photo of the back doors of the market on the corner. Shouldn’t commercial doors open to the outside? Residential doors usually open inward but business’s always open outward for fire escape. Maybe commercial doors would have held back the water? The one on the far right looks like it held up. Let’s see how long it will take for the people to start demanding money from the government they hate.